What an astonishing transfer window we had just witnessed, with all the mind-blowing deadline deals. 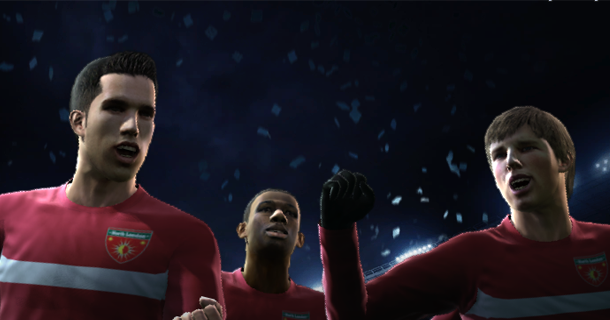 Won’t it be interesting for all these drama to occur in PES 2011 Master League too? As we all know, funds are very limited in Master League and we can’t be going out there buying all the star players (unless we activate the mode expansion kit to start off with maximum funds). Thus in this post I will like to share my use of funds to ensure a realistic and challenging game. Perhaps I am motivated by Arsenal’s way of business. I prefer to nurture my own talent, as opposed to splashing out on star players. Yes I do execute big signings from time to time, but my funds limit the frequency of such incidences. Thus, when my Master League begins, I pour most of my money into Staff Upgrades, till they are at the maximum level. This is a huge early investment but it always pay off for me, mainly in terms of short recovery from injury, and fast improvement in players’ stats. With top coaches, players develop quickly, saving you the cost of signing a top player. In my Arsenal team after 2 seasons, most of my default players grew into top players. The above picture shows the improvement my players after 2 years. The ratings on the left were taken at the start of PES 2011 Master League, and the one on the right shows the current ratings my team has, in the middle of the second season. Just this reason alone will justify investing in top staff. I pour in maximum funds for these two areas as well. Fan club provides you with revenue, and I believe the amount of merchandise sales is linked to this area as well. 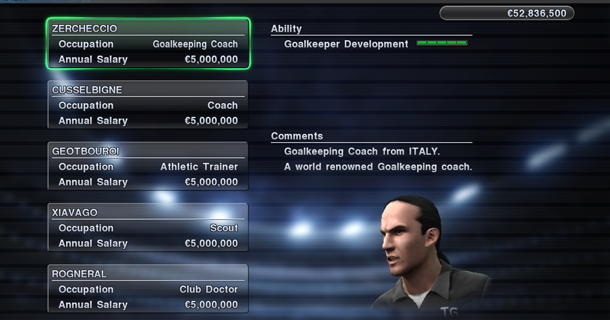 Investing in Youth Team will bring you quality young players, or regenerated players. On average, there should be one or two promising youths a year. From the previous screenshot, you may have noticed I have a defender called Palmeiri. He was signed from the youth team, and grew from a rating of 83 to its present 93 in just two years. Thus, youth team is worth investing in. As your players grow in ratings, they will tend to ask for higher salary. Give in too much and you risk depleting your accounts, negotiate with them and they might reject your offer and leave on a free transfer. It can be quite challenging at times. For me, I usually negotiate a little with them by bringing down their request to the average of their current, and new salary. E.g If Van Persie’s current salary is 4 million and he asked for 6 million, I will offer 5 million, sometimes a little more than 5 million. This usually goes fine. However, for your star players, it might be better off giving in, than risk losing them for free, especially in their final contract year. And this concludes my sharing on Master League. If you have any strategies to share, please leave a comment! Thanks! why don’t you use the default master league players? Thank you for this! I will try this out. I’m waiting one for Become A Legend mode, I think it also has some tips and tricks. And what about recieving a password? what should I do in addition to sending You a request and an e-mail? Personally I prefer to play with real players thus I do not use default players. Though for players looking for a real challenge, the default players will provide a tough one! After you have ensured you hire the best staff, perhaps you should try to play those players as often as possible to aid their growth. Sending them on loan helps too, although some of my players tend to improve faster when they are in my team. In addition, different players tend to develop at different speed, and at different age. You can check out the current development speed of your players by going to your squad list, and adjusting the information with R2 and L2, and you should see some red and blue bars for each player. Players with high red bars develop much faster. I hope this helps you Steve! nice one for the booster pack info on tactical strategy neo, much appreciated and needed lol. however i have few questions..does the offline mode help and tactics apply to online mode? as i only play online masterleague, and coach mode when i do, any help would be really er helpful,lol. cheers neo. i love to use default player.. it make me feel like underdog. when will bal tutorial comes out? bal is hard for me. (ignore my language, i not good in english). Do you have any tips to lift my team? Thanks for you’re help Zed…. In my opinion, if your players stay together, your game gets easier as the players will have increased their teamwork statistics with one another. Perhaps the reason for the sudden increase in difficulty is due to a major overhaul in the starting line-up? I am trying a lot of time to find a good club with high salary and good players to begin a Master League but I dont find one club which have this creteria ..Please can you help me to find a good club to begin master league ? ?Can you prefer me some clubs which they are playing on Barclays Premier League or Primera Division ?? hi , does the development of players in offline mode stay with them in online mode when you load it to play against someone? also does the youth team have the same rate in the offline and online mode ? lovely review you got here. I’ve got something to share with all you pes heads: you can turn your master league team to man city lol! how? Just google ‘pes 2011 ml money tool’ & voila you can adjust your team balance and pay your best players any amount of money they desire and also buy any player you want. shouts to jenkey for developing that patch..
Oh these players are rather old already so they will not develop much. Younger players will develop more. oh i am not sure for online mode..
dynamic means your players will grow really fast! that might be unrealistic in my opinion. Standard is a better reflection of real life i feel. Hi Zed, i can’t say i have problems with my players’ developement,growth and salary. My problem is how to use them in the field. Which formation, or rather game plan i should use for maximum utilization of my team? Waiting for your reply. My favourite formation is the 4-3-3, with attacking full backs, 3 central midfielders, 2 wingers and a striker. I find that it is very balanced in both attack and defence, and has served me very well for all pes versions. Hope this helps!